Welcome to our new blog series, “Ask a Tech.” When we get questions from our clients, we’ll share them here (anonymously of course) so that everyone can benefit. 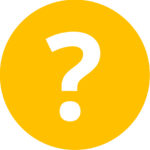 Question: We are Sentinel+ members and we authorize maintenance when prompted but never receive any information about monitoring or maintenance results outcomes. When should we expect to receive this type of information? Answer: The goal of our Sentinel programs is to keep track of your computer’s health and well-being, and spot potential issues before they become full-blown problems. So, while we are monitoring your machine 24/7, and running maintenance routines on a regular basis for Sentinel+ clients, if you aren’t hearing from us it means your machine is healthy, your data is safe, and our systems aren’t reporting any problems. If any of that changes, we’ll contact you. In addition, each Sentinel/+ client receives an annual Sentinel Report. This report includes information about the current health of your machine, as well as our tech’s recommendations for your machine, if any.